These colored sand kits are designed to let you make beautiful sand art right in their boxes. The process is easy to do to get consistently good results: place the desired activity piece in the box, use the peeling tool to reveal the first location for sand, and then take colored sand for that location and gently tap enough to cover. Tilt and tap box to remove the excess, and move on to the next section. 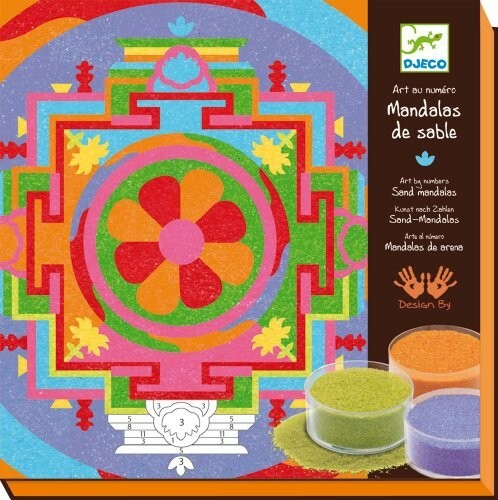 You'll be amazed at how quickly you can make detailed sand art. Each 9 by 9 inch box includes 12 colors of sand, 4 activity pieces, and an instruction book.